*Completion time may be extended if maintenance cannot be finished within the expected time. Apologies in advance for any inconvenience in such an event, and thank you for your support and understanding. (1) The Meower Discount Pack will be available. 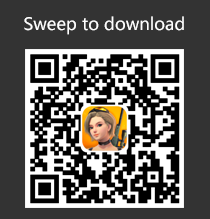 Purchase for a chance to get the Meower suit, accessory, destructor skin, and weapon skin. (2) All-new The Owl and Fugu Balloon glider, Housewrecker destructor skin and Chillax Panda backpack. 2. The new weapon #GPower Rifle#l has arrived! The Power Rifle fires big Plasma Bullets. The closer the bullet center is to the target, the more damage it will deal. (1) Slightly increased the scattering of the UMP9. (2) Slightly increased the scattering of the UZI. (3) Slightly reduced the scattering of the SCAR. -We find that players now prefer to use submachine guns than rifles, and the performance of submachine guns at all distances is better than that of rifles, which is contrary to our original intention. Different types of weapons should have different performance at different distances, so we will adjust submachine guns to make them more suitable for close combat, and adjust rifles so that they can play a greater role in the middle- and long-distance combat. -We will continue to observe the performance of different types of weapons and make necessary adjustments when required. (4) PSG-1 will be removed from the Aurora Valley temporarily and the chance of the VSS and XM8 appearing will be increased. We found that the performance of PSG-1 didn't reach our expectations, so we will redesign it. Please wait for the return of the new and improved PSG-1! 4. Increased the material cost of the gadget Springboard in the workshop from 4 to 6. (1) Messages sent to the team channel will also be sent to the guild channel. (2) Guild members will be displayed on top in the LOBBY tag in the INVITE on the right of the lobby. (3) Players' guild info will be displayed in the team-up invite pop-up. 6. Added a Look Rank in the Rankings. Players will be ranked according to the overall score of all their looks. 7. Optimized the Gallery interface: It is now more convenient to view the icon of weapon skins. 8. Optimized the Officially Certified interface: If a verified player is in a game, other players can spectate the player. 9. Missions with unclaimed rewards will be displayed on top in the Season Pass interface. 10. The distance between your current location and your marked location will now be displayed in the Direction Indicator. I want cars in this game,this game is awesome.I play this game day to night. Could you take a look at my Ban appeal? I'd like to resolve this ASAP! Thank you! Popularity Hack on Moble Creative Destruction User':Wisdomiskey id 15643928 Hey there's a trick going around creative destruction mobile where you are able to cheat your popularity by making new accounts over and over again and gifting yourself. A lot of people on U.S server are doing it now I'm just wondering if this is against the rules. A lot of people are able to make new accounts and gift their selves by the the rewards that are given when you first start the game. I was very skeptical to do it. A lot of my friends are doing it now and I don't want them to be banned but they were just desperate for popularity to move up on the ranks. It's very obvious to tell who's doing it. It shows no192929922 and a level 1 character for example and each new account is given a set of star coins. 2019-4-22 08:58 GMT-5 , Processed in 0.029036 second(s), 21 queries .